We find ourselves in a place never before imagined. With the technological boom in the past hundred years the battlefield has changed completely many times over. Drone technology has advanced to the point where unmanned aerial vehicles (UAVs) can watch any foreign activity and armed drones can eliminate targets with the click of a button. UAV drones are being used for surveillance in Iran, Somalia, Yemen, Pakistan, and many other countries. During the Bush administration only 47 UAV drone strikes were authorized, while Obama’s administration has carried out an estimated 254 strikes in Pakistan alone. The public opinion of using UAV drones is mixed. In a recent survey by Pew Research Center it was found that 62 percent of Americans approved of the drone campaign; while more than half the population of 17 out of 21 countries disapproved of U.S. drone attacks on extremist leaders in places such as Pakistan, Yemen, and Somalia. Although CIA director Leon Panetta described the drone program as â? ?the only game in town,â? drones often cause many civilian casualties. For example it took sixteen strikes and fourteen months to kill Taliban leader Baitullah Mehsud; and between 207-321 additional deaths. Although the use of UAV drones can be debated indefinitely, there is another emerging problem. 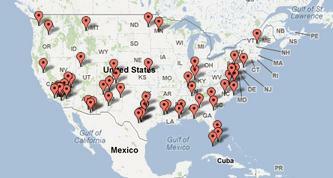 There are currently 64 drone bases on American soil. Feds predict that they will authorize about 30,000 UAVs across America in the next 10 years. At the same 300+ local and state police departments are awaiting federal permission to use drones they already own, usually purchased with federal stimulus funds. Even though these drones will not be armed they would still pose a very great risk to our privacy. I remember I watched a show a while ago called â? ?Stephen Hackwingâ? ?s Sci Fi Master: Home Frontâ? which was about the possibility of armed drones being used on American soil. I recommend for anyone to watch that show because it is very eye opening; not just for evasive droneÂ technology, but also for evasive Big Brother techniques. At the same time it also makes you realize that humans often make mistakes and that we should work together to make sure our rights are not violated and the tools we employ are safe. Sometimes out of the fear of increasing our own saftey we may comprimise our privacy, and so forth. There is a balance to be found when it comes to such situations; such as UAV drones being used on our soil. Good people will do good things, and bad people will do bad things. But for good people to do bad things — that takes nationalism. -Sci Fi Masters: Home Front description. Whether the use of drones can be justified in foreign countries, we have to ask ourselves if this technology is something we would welcome into our own country. Shin guards would be a good idea! Click here to find out about the latest tank technology . . . I saw one of these in the airport Apple shop. Awesome idea, but I’ve heard that the camera is nothing spectacular and is low quality. I recently bought footage from a 4 foot remote control helicopter company that takes aerial footage and it was very clear HD. I’m saving up for footage taken of them flying around a Buddha statue with a huge remote control aeroplane. If the camera quality improves for future Parrot Drones it will be great! This is more like it – a guy has mounted a GoPro camera on top. If he mounted the camera underneath with some kind of landing padding it would look fantastic no doubt . . .
Part of me really wants one of these in the future . . . Sorry but your video really make some hidden part of me want to become a bird.